Three-hundred coats hung in the Godfrey-Lee Early Childhood Center ready for distribution. 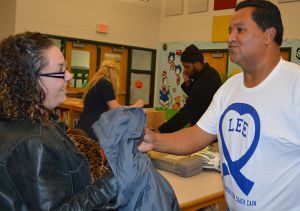 Jaime Ramirez stood next to the racks, helping parents and children find the right fit to keep warm this winter. Speaking in Spanish to many coat-seekers, Ramirez helped outfit them with brand new outerwear donated by Daybreak Church in Hudsonville. Smiling, parents thanked him as they left with their children’s favorite colors or styles. Ramirez is the district’s community liaison, working to meet the needs of families in the one-square-mile, mostly Hispanic school district. He can be found wherever parents and students gather: coat drives, district-wide events and celebrations, conferences and even the soccer field. “I love my job because I know I am able to help the community. They see me as a teacher,” said Ramirez, who also serves as varsity soccer coach. 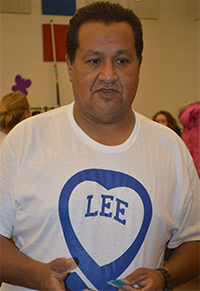 Ramirez was liaison for five years, stationed one year at Godfrey-Lee Elementary School and four at Lee Middle-High School. His position was cut at the end of last school year after grant funding ran out. 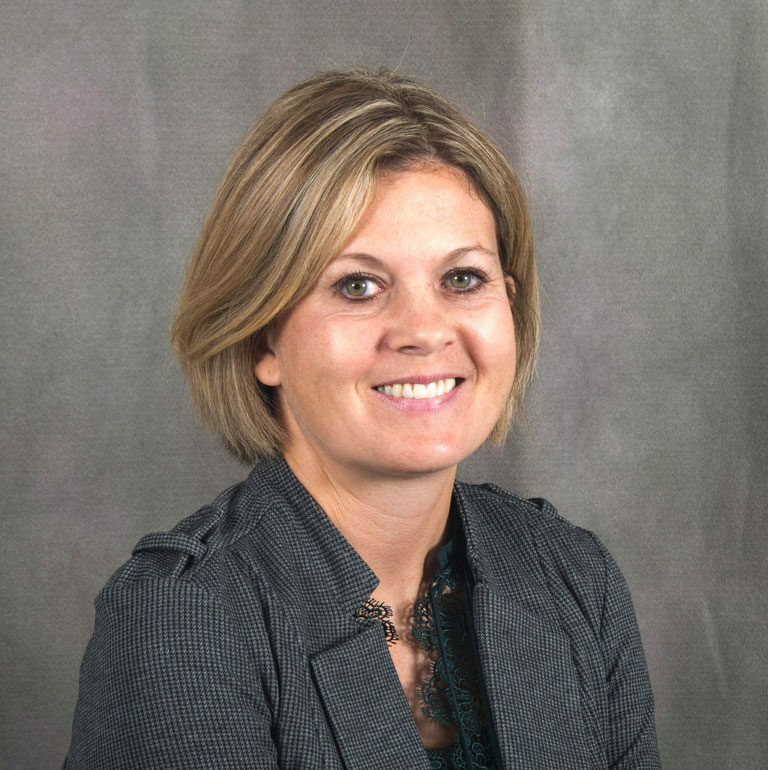 But he was rehired in October, with general budget funds, to an expanded role: serving the entire district by promoting events, supporting families and establishing connections community-wide. He’s also present in classrooms for translation services. Ramirez is regaining momentum since restarting his job. Recently, the district’s English-language learner program for adults was going to be cut due to low enrollment. Ramirez started recruiting parents at churches, businesses and stores, and provided directions to sign up. Numbers grew from six to 24. Lisa VandeWaa, social worker at Godfrey-Lee ECC, said it’s Ramirez’s knowledge and love of the community that makes the difference. Ramirez’s work in Godfrey-Lee began on the soccer field. A U.S. Soccer Federation referee with a long history in the sport, he’s served as Lee High School’s varsity soccer coach since 2007. An immigrant from Mexico, Ramirez said he understands the struggles of being new to a country and a different culture when it comes to education. But he has a contagious can-do attitude that helps people realize barriers can be removed. “When I say I am going to try to do something, I try the hardest,” he said. Ramirez son, Jaime, and daughter, Ingrid, graduated from the district in 2009 and 2010, both earning GPAs in the Top 10 of their classes. Ramirez moved from Jalisco, Mexico to California at 21. He lived there for 11 years, first picking crops before moving to Los Angeles to work at Great Western Forum, where he set up for Lakers basketball games and Kings hockey games. Later, he worked as a dishwasher, cook and assistant manager at a restaurant. He moved to Michigan after friends and relatives told him it was a peaceful place and he wanted somewhere less violent than inner-city LA. As a child he played volleyball and basketball. “I was one of the tallest kids in school,” he said. But he took up soccer at age 15 and tried out for a semi-professional team. Though he didn’t make it, soccer has been part of his life ever since. His experience as a USSF referee since the ‘90s helped him land the job as high school soccer coach. He continues to referee for Grand Valley State University soccer and for ABK Futsal Academy, based in Kentwood. He is helping create a professional team for the 2017-2018 season. Ramirez, who graduated from high school in Mexico but was unable to go to college, dreams of becoming a Spanish teacher someday. He said he still plans to go to college. 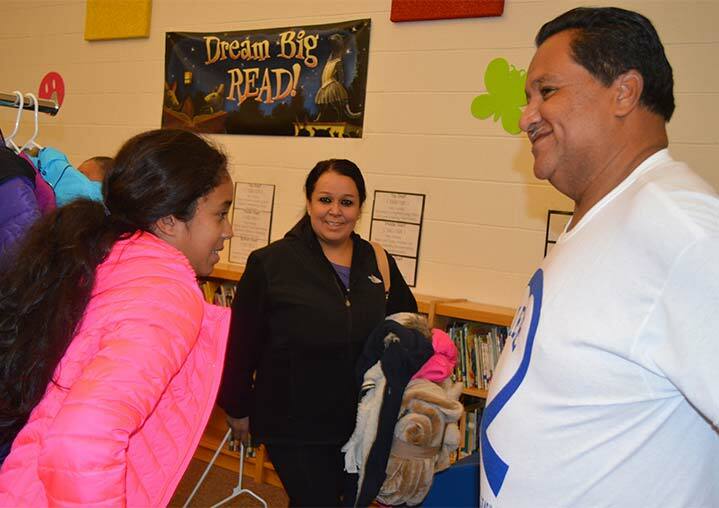 Ramirez’s impact shows in parent involvement across the district. From 2010 to 2014, attendance at conferences increased 12 percent. During the most recent conference at the middle school, so many parents attended the sessions ran an hour late, he said. He’s also been known to help students turn their grades around. He recalls one student who was so worried her father would be deported to Guatemala that she fell behind academically. Ramirez helped her bring up her grades from Cs and Ds to As and Bs. Ramirez works hard to get community members together. He’s forming a parent group to promote events. and hoping to plan an all-day Cinco de Mayo celebration.